OK. I confess. It wasn’t snakes. It was ants. But any sort of uninvited wildlife in the cockpit makes a flight interesting, if not necessarily “B” movie-worthy. 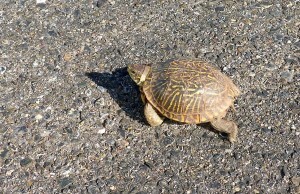 The Santa Rosa Route 66 Airport is actually quite the wildlife sanctuary. We commonly have small herds of deer inside the perimeter fence, rabbits abound, quail scurry, coyotes lope. 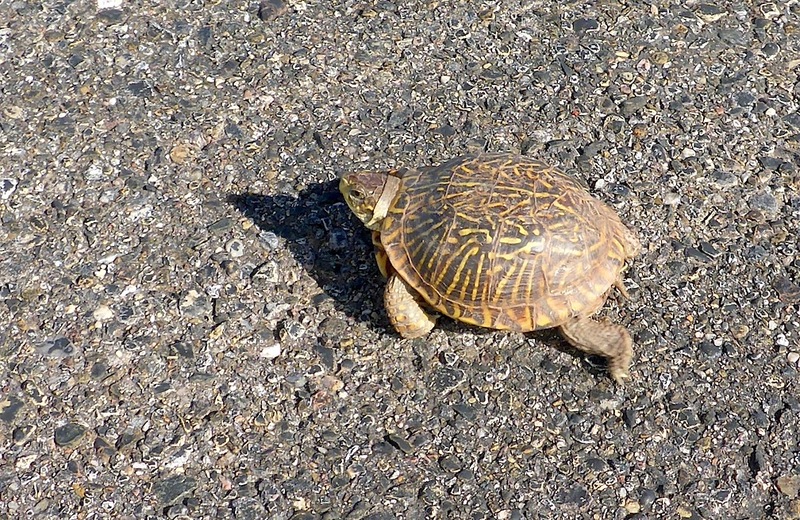 We have assorted lizards, and once we followed a turtle across the tarmac. 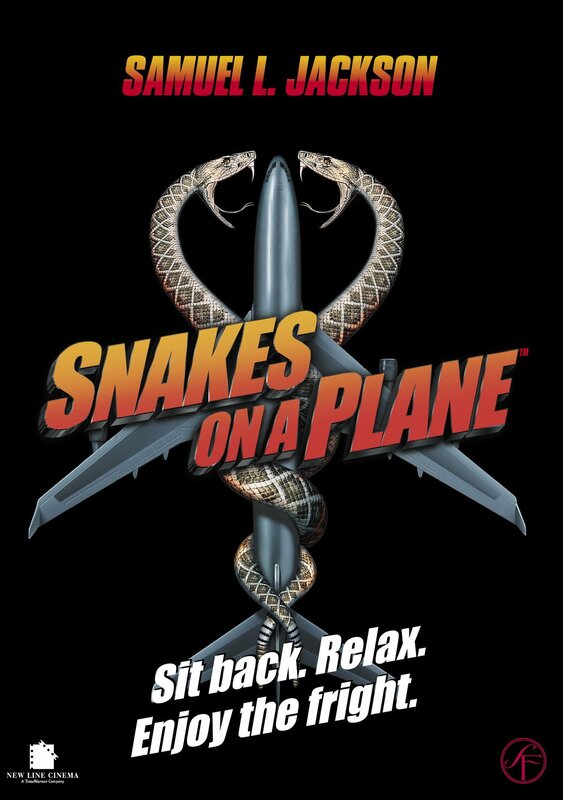 Turtles on the Tarmac actually has a better ring to it that Snakes on a Plane, but it’s not a title likely to bring the horror-seeking crowd out to the theater. Actually, speaking of snakes, I did one time see a snake on Runway 26. Another time we had a black widow spider in the hangar, and one year there was a plague of yellow jackets. And of course, like everywhere in the world, we have ants. But I never gave much thought to the ants. Not until I was taxing down Alpha toward One-Niner with Lisa onboard. The week before I’d made the mistake of watching Fearless Flying with her and Rio. It’s a great flick about the development and history of the Plane Tales make and model. But the narrator said that in the 1940s research showed that, on average, people could solo in an Ercoupe after only four hours of instruction, half the usual length of training at the time. In perfect, synchronous motion, Lisa and Rio turned their heads toward me and glared. Both Lisa and Rio have waaaaaaaay more than four hours in Tessie. In my defense, I’ve yet to become a flight instructor, so I can’t sign them off for solo. But that said, I really have no excuse for not at least teaching them to land, for their own safety as frequent copilots, if for no other reason. So I agreed (at gunpoint) that the very next weekend we’d all go to the airport and get to work on landings. Both my copilots are getting formal training in sail planes, and Rio is also getting powered Light Sport Training in Santa Fe. When it comes to flying Tessie, Lisa is an ace at the long haul. She can hold a course and altitude like no one else. Probably better than I can. She just can’t turn. Rio, on the other hand, tends to wander a bit through the air, but is more capable when it comes to maneuvers. 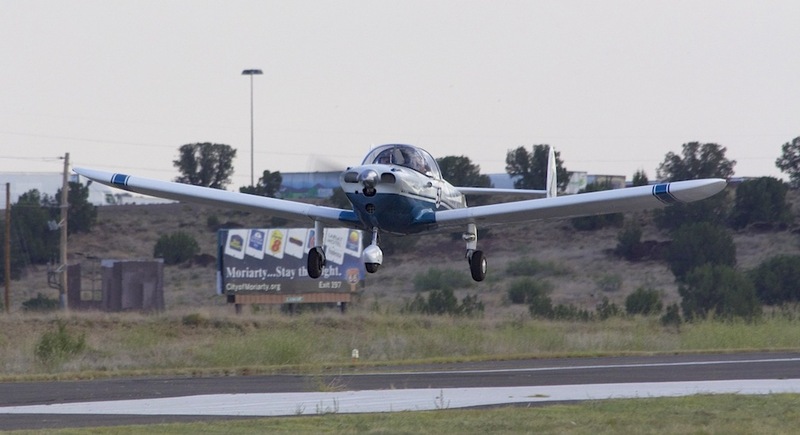 So Rio wanted to focus his practice on the approach and landing phase, while Lisa just wanted to do some pattern work and get good at the basic turns. We headed out a 5am, before there was even a hint of light in the eastern sky. On the 45-minute drive to the airport, the sky gradually revealed itself, turning first pale green on the horizon, then butter-yellow behind grey clouds. 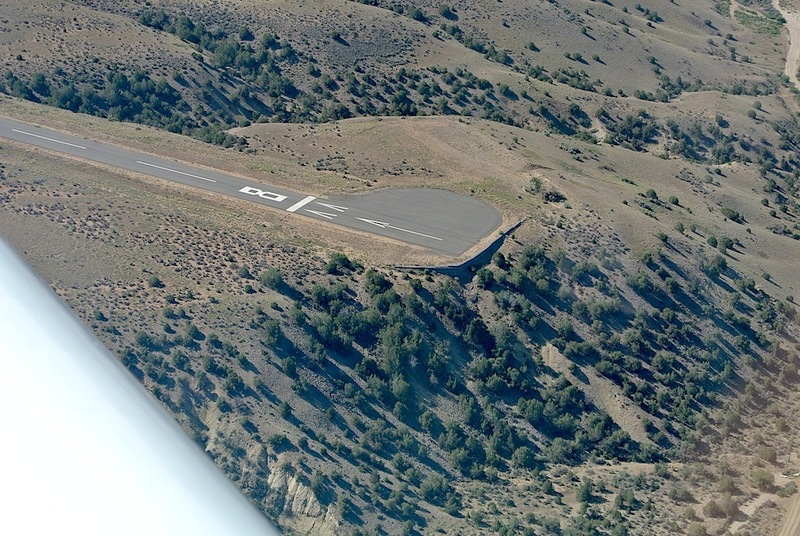 When we got to Santa Rosa, a brisk breeze from the south rippled the U.S. flag over the truck stop next to the airport, so we knew before we got to the hangar that we’d be operating off Runway 19. As we opened the hangar doors to the familiar screech of metal on metal, the sun, still hiding beneath the rim of the earth, painted the bottoms of clouds above the eastern horizon blaze orange. 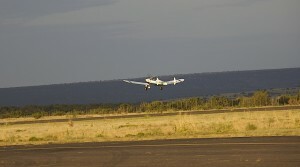 We did a group preflight and pulled Tessie out into the first rays of the rising sun. Rio was first to fly. He and I debated a bit about the merits of which seat he should take: Left or Right. Flying from the left would be more globally useful to him in his training, but flying right would make more sense for Tessie flying, as that’s his usual post. The right side also has a slightly better view of the world, given how the panel is designed. In the end he opted for the right hand seat. We took off and worked the pattern. At first, the air was rough and Rio was annoyed. Not at the air, but at himself. He felt he should be controlling the plane better. The first pattern was pretty bad. But both the atmosphere and Rio settled in. 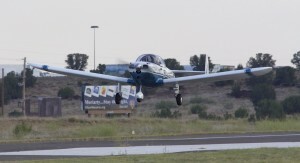 He’d enter the downwind leg and fly parallel to the active runway, in the opposite direction. 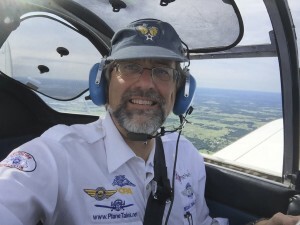 The push-to-talk switch on his side of the plane got stuck in the “talk” setting on the way to the Big Muddy air race, and I had to cut the wires. We haven’t got it fixed yet, so I made the radio calls for Rio. Abeam the numbers I reduced the power and he was on his own. Possibly from his sail plane training, or possibly from innate instinct, he showed an amazing talent for pitch control. 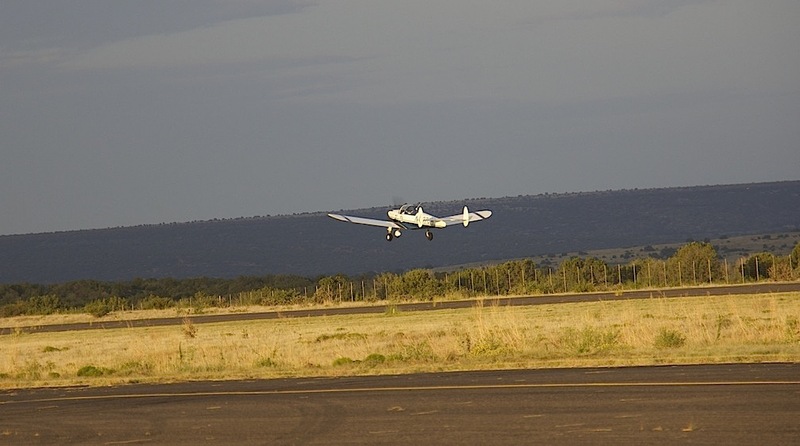 As he turned base, and then final, he kept the nose perfectly set for descending turns—neither too high nor too low. It was fluid flight. The only issue was that on short final the runway wasn’t in front of the nose where it needed to be. Instead, it was waaaaaaaaay off to the left. We came down low, low, low over the grass to the right of the runway, added power, screamed down the length of the runway, and rose back into the sky to try again. Over and over we did the pattern. Each time better. Once Rio brought us in smartly over the numbers and we did a full-stop landing, me with two fingers on the yoke coaching him over the intercom: “Pull back. Back, back, back. Hold it… hold it. Back a little more…” And with a screech the tires kissed the runway. Then it was Lisa’s turn. As she buckled in, she said, “Huh, an ant,” plucking a quarter-inch long red fire ant off her pants and pitching it out the open window onto the apron. Little did she know that he had company. Now, for background you need to know that fire ant colonies are usually easy to spot. In excavating their subterranean homes, the tiny bits of rock they remove pile up around the entrance, creating miniature volcano-like mounds. Unless, as it turns out, the ants have made a home under a strip of asphalt, moving in and out through a badly sealed crack. Then there’s no telltale mound. And if you park your car next to the crack you might not notice that you’re standing in a swarm of fire ants while you’re putting on your sun screen. At least, that’s what our after-the-fact analysis determined. I looked down to see a small dot of blood on her left leg, right below the knee. “Do you want me to stop the plane so you can shake out your pants?” I asked. “No, no. It’s fine,” said Lisa. Five hundred feet farther on, almost to the run-up area, Lisa let out a long string of expletives that demonstrated that she had an impressive command of the Anglo Saxon language, and started swatting at her leg again. I pulled the throttle and mixture, switched off the mags and killed the master. Before the prop stopped spinning Lisa bailed out of Tessie faster than Chuck Yeager out of a burning jet fighter. While she danced around the plane on one foot, pulling off her pants and screaming obscenities, I saw another fire ant marching across the bench seat toward me. Lisa had been kind enough to throw the first one out. I squashed this one with my finger. My eye caught a hint of motion on the floor. Another fire ant. I quickly dispatched it to Ant Valhalla. By now Lisa had succeeded in getting her pants fully off and was frantically sweeping her hands up and down her legs. Then she violently shook her pants to dislodge any remaining invaders. De-antified, Lisa climbed back into the plane and I fired up the engine again. Of course, once you’ve been bitten not once, but twice, your skin becomes twitchy. Any contact to the skin from breeze to clothing sets off alarms. Lisa was… jumpy. And it was contagious. Soon, I was scratching and swatting imaginary ants as we ran up the engine. But at least there weren’t any snakes in the plane. I could tell that the airport was too big for its britches from the downwind leg. It simply didn’t fit on the hill it was built on. Like a basketball player trying to sleep on a toddler’s bed, the runway hung off the edges of its hilltop on both ends, the thresholds and numbers perched on giant earthworks, shored up with stone walls. I found it an interesting engineering solution until I turned final. At that point the airport looked remarkably like the deck of an aircraft carrier at sea. Only, you know, it was a helluva lot longer. And it wasn’t pitching up and down. 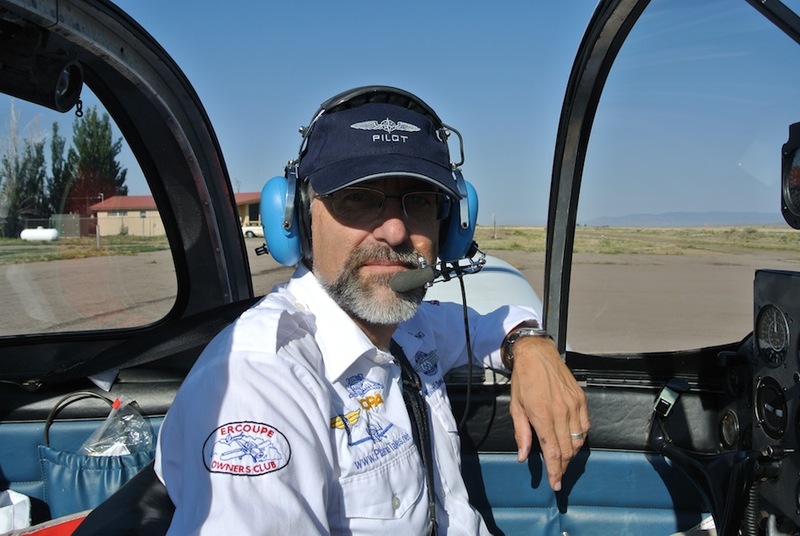 As I dropped down out of the cool morning sky toward the strip of asphalt a mile above sea level north of Aztec, New Mexico, the wall under the threshold of Runway 8 got larger and larger and larger… and on short final, headed toward the vertical stone wall below the numbers, I realized that if I went below glide slope I’d smack head-first straight into all that rock. So it really could be a highway to the danger zone. I came to Aztec numerous times as a child, and I have fond memories of the reconstructed Great Kiva at the Anasazi ruins near the city. I remember walking to that vast bowl carved out of the earth. A cool, dim respite from blazing heat and light outside. The smell of damp clay in the cathedral-like sacred space nestled deep into mother earth. And of the A&W restaurant across the river. Steak fingers, cream gravy, fries, shredded lettuce salad in a styrofoam cup, and Texas toast with a frosty mug of root beer. But my adventures in Aztec had always been by car. 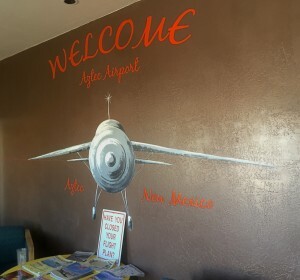 This was my first landing at N19, the Aztec Municipal Airport. I never did find out what the story with the runway built over the edges of its hill was. The handy AirNav website shows that the airfield has been there since January of 1941, so it was built before World War II. My guess was that it started out life as an airport that fit in its location, and just like any other living thing, it grew up and got bigger and bigger, and that at some point the city fathers decided that it was simpler to make the hill bigger than to move the airport. Now, I’d been tipped off that refueling at Aztec was… different… but I wanted to avoid the landing fee at nearby Farmington—even though I would have liked to visit it as a homecoming: That’s where I passed my Private Pilot Check ride over three decades ago. What could be different, you ask? This is how I was told refueling at Aztec works: The gas pump has a padlock. The key to the padlock is in a safe. The safe is in the pilot’s lounge. The combination to the safe is a number every pilot should know. To fuel up, you find the safe, figure out the combination, get the key, unlock the pump, and gas up your plane. You then call the golf course—of all places—with your credit card number and pay over the phone, using the honor system on how many gallons you just put in your plane’s tanks. What’s not to love about a system like that? After I taxied up and shut down in front of the pump, an elderly local Bonanza pilot and his young grandson came over to chat (what a cool-looking plane!) and he saved me the first few steps by unlocking the pump for me. I guess all the local pilots have keys. I put five gallons in the right tank, four in the left, and returned the nozzle to the pump. The sign on the pump gave the number for the golf course. I pulled my cellphone from the zipper pocket above my knee on my flight pants and dialed. So I texted 9.0 gallons, snapped the padlock shut, climbed up on my wing, and slid down into the cockpit. As I flipped on my master switch for engine start, I briefly wished I had time to slip down the hill for an A&W root beer in a frosty mug. But it was time to hit the highway to the fun zone. Off the runway that didn’t fit on its hill. I confess: I’m a bit of a peacock when it comes to fashion. I like to look good, and I put both conscious thought and effort into the process. I dress the part for the various roles that I fill, and I probably spend more money on clothes than men typically do. But I’m not the three-piece suit and spit polished shoe sort. Instead, I’d call my style coordinated casual. For day-to-day activities in the summer I’ll wear an Eddie Bauer shirt with the sleeves one-quarter rolled up, paired with lightweight cargo pants. In the winter it’s blue jeans with open-neck sweaters over thin T-shirts. Around the house in the summer it’s shorts with T-shirts, some plain, some with snarky aviation sayings. If I’m going to a conference or traveling by commercial air, I’ll wear a sport coat with a dress shirt. For an awards banquet I’ll add cufflinks, and sometimes a tie. For general flying, it’s an aviator shirt with epaulets on the shoulders or AOPA gear. For air racing, it’s a white pilot shirt emblazoned with aviation and race logos. It makes me look professional, which makes me feel professional, which in turn ensures I fly professionally. And hopefully, the world speed record badge on my sleeve intimidates my completion. At least until they see my airplane. I make sure the style of my shirt matches the style of my pants. I coordinate my colors down to my socks and underwear. I even make sure my accessories—watch, belt, shoes, cell phone case—all match my duds. Everything matches perfectly… Except when it comes to my hat. That’s because I have hat issues. First off, it’s true: I have a big head. But it’s balanced on a thinish frame, so most hats that actually fit make me look like a cartoon bobble head. And frankly, 99% of all hats I’ve even tried on simply just don’t look good on me. I’ve come to hate hats. But when you fly a low-wing airplane, there’s a lot of sun in, and on, your face. You really need a hat. A hat that you can wear a headset over. Most pilots choose some sort of baseball cap, removing the button at the top because the headset will drill the button into your skull if you don’t. After much searching, I finally found a European pilot cap that didn’t look too bad on me. It has a long bill, and less “body” than most American caps, fitting over less of the head. Maybe that’s why it looks good on me. It’s also made button-free to be headset-friendly. It’s sharp looking, deep blue in color, and has wings and the word “pilot” on the front. But it too has problems. Not style problems, but function problems. Because it perches on top of my head, it blows off easily when I’m out on the ramp. I bet I’ve spent at least 100 hours chasing this hat down various ramps, aprons, and taxiways. And while it’s button-free, it’s not seamless. The hat is constructed of six pizza-slice shaped panels. On cross-counties longer than two hours the seams dig into my skull and give me a headache. I have a big head, but apparently not a fat one. No amount of shifting of the hat and the headset solves the pain problem. Then one day not long ago, while I was flipping through the pages of the latest Historic Aviation catalog, I discovered a hat whose top had no seams. The top is a circular piece of fabric. I took a chance on ordering it, and damn if it didn’t look pretty good on me. Well, as good as any hat does, anyway. The bill is a perfect balance of shade and visibility. I can wear my headset over it for hours on end with no pain. It’s pale blue so it matches my flying clothes. An added benefit: It doesn’t soak up too much sun, turning me into a hothead. And it stays put on my head on windy ramps. It’s distressingly distressed, for what the catalog called “a well worn look.” Yeah, some fool took a Dremel tool to it to make it look like it was hit by a propeller. So not my style. Packing for the last race, I was stressing about which hat to take: The comfortable one that looks like hell and spoils my look, or the snazzy one that gives me a headache. Like I said, I take fashion seriously. And that’s what I did. But I sure wish I could find a hat like this one that hasn’t been distressed. Then I’d be flying in style.